Those who read Fantasy-Faction, the cutting-edge fantasy discussion blog, will know Dan Hanks’ perceptive and useful reviews. He did me the honor of looking at my new epic SF poem Apocalypse–and here is his review. “Apocalypse is an epic poem about humanity’s struggle against the end of the world. When I was first pointed in its direction, and began reading, I was a little conflicted about potentially reviewing it here as it seemed to be too straight sci-fi for our little fantasy corner. However, there has always been crossover appeal for readers of these genres. And on finishing this magnificent work, I think it contains enough futuristic fantastical goodness to warrant serious consideration for your TBR pile. So if you’re up for an adventure told in blank verse, written by a winner of the Levinson Prize (Poetry magazine’s highest honour), read on. When the Earth becomes a maelstrom of storms and rising sea levels due to catastrophic climate change, some want to give up and call it a day for humanity. Yet there are also those heroic few who are determined to take action and do something about the impending apocalypse. These are the geo-engineers—men and women of creativity, knowledge and drive—who will do whatever it takes to save the planet. They will take on the challenge of bringing the planet back into balance. They will fiercely protect their work from the belligerent navies of two large nations— even if this means risking life and limb in a major sea battle. And with a new dawn of artificial intelligence on the horizon, these valiant few may make the difference between a future of human and A. I. enlightenment or a dark age of never-ending terror. Apocalypse is strange and brilliant and possibly one of the most magnificent pieces of writing I’ve yet come across. I’ll freely admit there is another level of intelligence at work here I could not fully appreciate in a single read through. 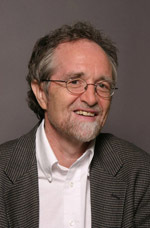 As a Founders Professor of Arts and Humanities at the University of Texas at Dallas—and having acknowledged on his website that he is “philosophically interested in time, evolution, and self-organising complex systems in game theory and economics”—it is not surprising to find the author has been able to craft a complex, richly detailed story that may only reveal all after numerous re-reads. His writing is also something else. In one passage, a seemingly mundane passage about salmon becomes a beautiful tale of a journey that is ‘powered by desire, drawn by mad love’. While exploration of universal themes that have long held mankind’s thoughts, offers us gifts such as ‘Time doesn’t only happen by the push of what is past, but by the pull, the draw of some unfinished absence in the future’. There is also a passage about the deepest pain of humanity near the halfway mark that I’ll probably return to time and again as I get older, because it is encapsulates so well the beauty of life and the struggle we have with death. A standout among the characters is the omniscient, fourth-wall breaking narrator, Nemo. He helps give the writing a raw, almost documentary feel, as opposed to the Orwellian window pane we’re used to with other prose epics. He documents (almost) everything that happens, from complex theorising in classrooms, to Antarctic sea battles between nations. Perhaps best of all, he’s a narrator with intense subjectivity for those he’s talking about, and not a little self-doubt when times get tough. In other words, he’s human. And his exploration of humanity is perhaps the key focus of the poem. Through his eyes, we are constantly provided with hope that the team of characters assembled by our hero, Noah Blazo, can save the world, then doubt as to whether it is even worth saving—given the hostility and suffering they face from the people they are trying to save. Because there are (of course) political factions who work against them. And although the author acknowledges this rival party of legislators might be made up of those with noble intentions, he also makes it clear they are driven by a desire to centralise their power. They see Noah’s solution driven by human enterprise as a risk to the control they currently wield. As such, the constant frustration of decent, smart people trying to do good, while facing the hateful idiocy inherent in humanity—in order to save humanity—cut a little too close to home to be an easy read in our current political climate. But it was worth the shivers to experience an adventure that opens the mind in spectacular ways and builds to a conclusion that is at once poignant, uplifting and thought-provoking. I am generally not a reader of poetry—or at least I’m not a good reader of poetry. So it took me a while to get beyond the writing itself and settle into this story. It also didn’t help that we jump about at the beginning a little too much, introducing new characters without really getting to know them properly just yet. The overall narrative is also a touch uneven. The first half of the poem is relatively slow, as it painstakingly moves between characters to weave a complex plot over a small period of time. We then spend the second half of the book up against a whole new (worse) threat spread over a couple of generations, in a jam-packed, faster-paced and conceptually more exciting adventure into the unknown. Just a little more of the second half and a tighter first half would have made for a more cohesive read, I think.